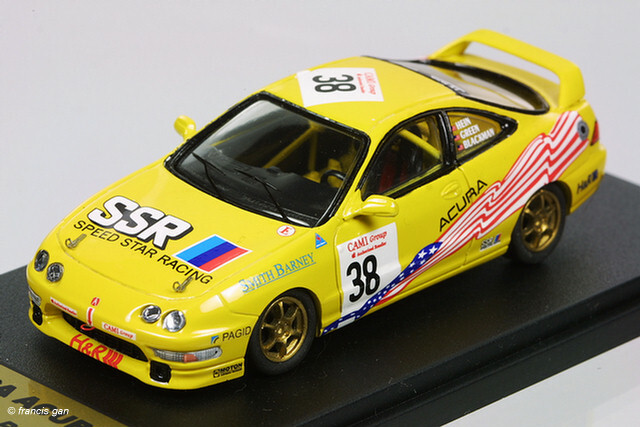 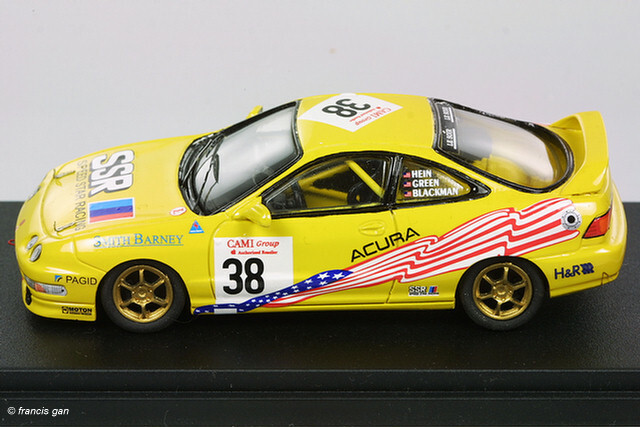 This is a factory built resin kit of the Euro market Integra Type R with the quad round headlights and the rear fog light. 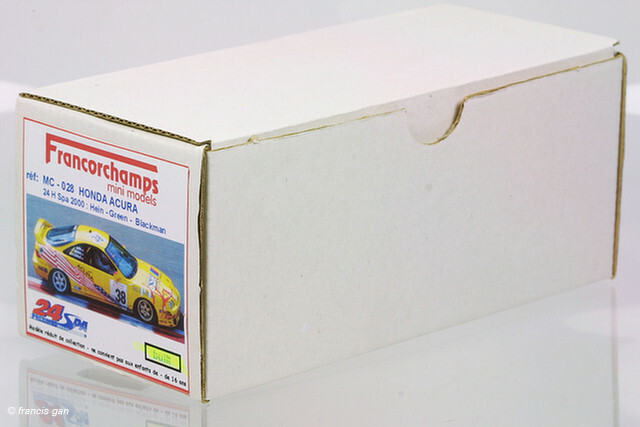 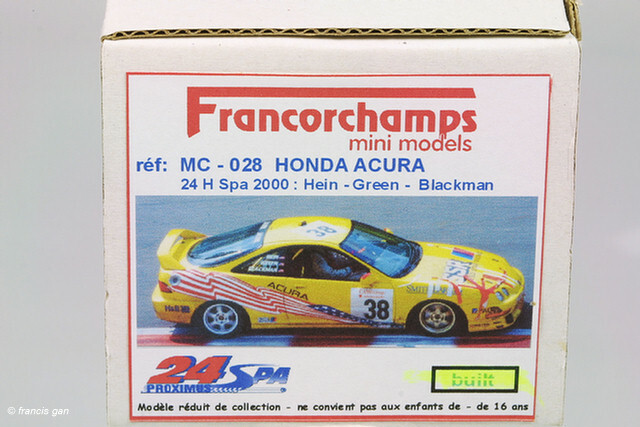 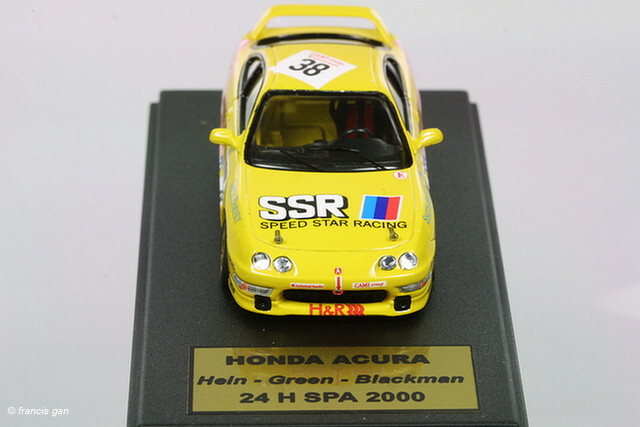 The 1:43 model is finished in championship white with a nicely detailed interior and accurate exterior. 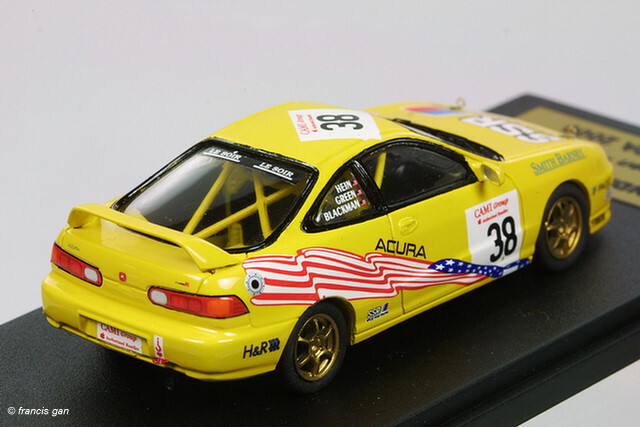 As with most models of this type, the undercarriage is flat and unfeatured though there is a rear exhaust that is visible from the rear.